This is really confused. Particles certainly do have properties like position and momentum. These are observed all the time. 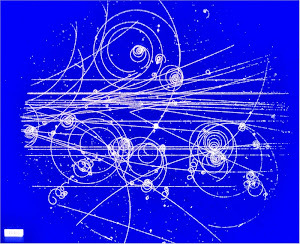 The whole idea of a particle accelerator is to put particles in a particular position and particular momentum. They only have these properties when they are observed that way, but then they are not even particles unless they are observed that way. 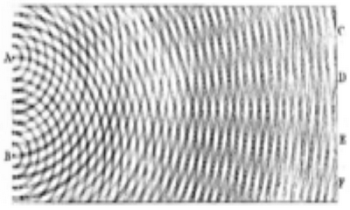 The description of a wave function is over-simplified. For a system as trivial as one election, the wave function is already more complicated, and the probability is not just the square of the probability. More importantly, once you accept the quantum mechanics premise that observables are operators on a Hilbert space, then there is nothing mysterious about the Born rule. There is no other way to make sense out of observables being operators. It is only mysterious to many-worlds advocates like Carroll, because they do not believe in probabilities. They believe that all possibilities happen in alternate universes and that there is no way to quantify those universes. As a theory, Many Worlds is in a bad state, and this paper is an example of why. If someone tells me that there are many quantum worlds in a single wavefunction, I expect that they can tell me exactly what part of a wavefunction is a world, and how many worlds there are in a given wavefunction. As Sean says in his article, a naive attempt to be concrete about what a world is, and how many there are in a given wavefunction, leads to something which *disagrees* with experiment. But rather than regard this as a point against Many Worlds, and rather than try new ways to carve up the wavefunction into definite worlds… instead we have contorted sophistical arguments about how you should *think* in a multiverse, as the explanation of the Born rule. The intellectual decline comes when people stop regarding Born probabilities as frequencies, and stop wanting a straightforward theory in which you can “count the worlds”. Common sense tells me that if A is observed happening twice as often as B, and if we are to believe in parallel universes, then there ought to be twice as many universes where A happens, or where A is seen to happen. But a detailed multiverse theory in which this is the case is hard to construct (Robin Hanson is one of the few to have tried). Instead what we are getting (from Deutsch, from Wallace, now here) are these rambling arguments about decision theory, rationality, and epistemology in a multiverse. They all aim to produce a conclusion of the form, “you should think that A is twice as likely as B”, without having to exhibit a clear picture of reality in which A-worlds are twice as *common* as B-worlds. I am really annoyed by the proliferation of this trash and I am annoyed by the fact that this trash is being repetitively pumped into the public discourse by the media and blogs run by narcissist crackpots like Sean Carroll, building upon Goebbels' claim that a lie repeated 100 times becomes the truth. At the end, the reason why I am so annoyed is that people don't have time to appreciate the clever, precious, consistent, and complete way how Nature fundamentally describes phenomena, and the people – like Heisenberg et al. – who have found those gems. These people are the true heroes of the human civilization. Instead, we're flooded by junk by Carroll-style crackpots whose writings don't make any sense and who are effectively spitting on Heisenberg et al. He is over-the-top, as usual, but he is right that this advocacy of many-worlds is crackpot stuff. Motl: " who have found those gems." What did Motl do to earn tenure? "Morally we would apply such an argument to M-theory to cover all physics. If string or M-theory theory really underlies all physics, it seems that the door has been opened to an understanding of the origins of quantum mechanics." Motl: "Yes, I did, and was tempted to write about it, too - but was busy with some things." Motl was just too busy to slam that POS paper. Master Witten would not have been pleased if that hype is squashed. "He is also a conservative to some extent." Are you kidding me? "M-theory theory really underlies all physics" is Motls definition of 'conservative'...hahahahaha. Looks like Woit is branching out. String Theory aint bringin in the crowds no more. Now his place is turning into the anti-NSA Channel. But but Sean M. Carroll has a phd, I'm sure. So I can't possibly bad mouth a phd. I wonder if there even is a science blog detailing experiments. I bet not. Thats the state of science today. Toilet paper rags like Science and Nature filled with those bogus life science papers. "Expert" organic synthetic chemists with all their bogus yields. Fraud fraud fraud. Soap then rinse. 10 billion trillion semiconductor economy thanks to quantum mechanics. Woo eee! And its all fraud. Fraud Fraud Fraud. Can't print oil with quantum mechanics. Where is a physics textbook full of experiments. I mean a serious one. Not some glib reference to double slits and whatnot. The experimentalist may as well live on Mars. Beautiful Math Books: 50 million of them. Books on Detailed Experiments: 0. Phd Physicists: Can't do an experiment....Phd Computer Scientist: Can't design software or code. The Phds...2014 Unionists...they got a union card. Man or man, gotta hire those phds. Only the young ones tho.. I am a medical researcher and quantum systems engineer, whose experimental research interests focus upon quantum spin metrology, and whose theoretical interests focus upon large-scale quantum simulation, in service of applications in regenerative medicine. For a non-technical overview, see the (open-source) PNAS article "Spin Microscopy's Heritage, Achievements, and Prospects." For in-progress research see the Soldier Healing Seminar "Green Sheet Notes" for 2013. Science Science Science or Fraud Fraud Fraud? I don't know boys and girls. "doesn't believe in probabilities?" What is probability then? Define it? See, you can't. It's one of the most intractable problems of philosophy. Also, it's nonsense to say that an observable "just is" an operator. An operator is an abstract mathematical thing. An observable is a physical thing. So they can't simply be the same thing. So if you disagree with it, what sort of picture do you believe quantum mechanics paints of the Universe?